Some people felt it necessary to point out that Rorschach was vaporized by Doctor Manhattan in the end, thereby displaying an incredible lack of understanding of nuance and context, as well as a very limited concept of the meaning of victory when it comes to the struggles and perseverance of rebels like Ocasio-Cortez. 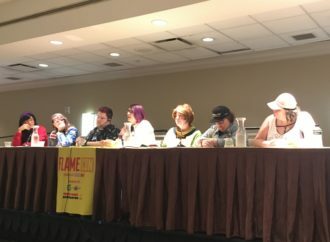 FlameCon exhibitors expressed their discontent over the convention’s recent table lottery application process that seemingly did not allow exhibitors to share tables. Considering the often prohibitive costs of convention tabling, exhibitors do their best to save money where they can, though FlameCon’s apparent rational was to prevent those who were taking advantage of the system for their own gain. In response, FlameCon closed vendor applications and posted an apology and a promise for further explanation today. “Vendor applications have been closed and will reopen on Monday, January 14 at 1 pm ET. Why are we doing this? Because we acknowledge that we failed to provide vendors a clear and concise application and explanation of our newly adopted vendor lottery, and the options provided did not serve our community to the best of our ability. 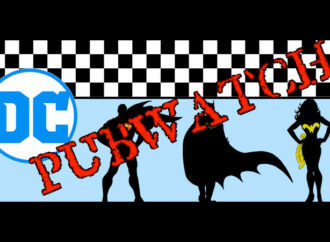 Further details can be found on their exhibitor page, however, WWAC did reach out by email to clarify whether or not the sharing of tables would be allowed at all. Their response is, “You’d be able to register a table for several friends under one ‘banner,’ provided you are up-front about your plan and that the table is staffed by no more than 2 people at a time.” Hopefully, their updated explanation will make this more clear. Twitter can be a nasty mess and sometimes, scrolling through your feed might not be the best thing for your mental health. Other times, you get delightful hashtags that can truly make your day, like Kevin Wada’s #PaperXMen or Christina ‘Steenz’ Stewart reviving the #SMRedraw tag where artists redraw their favourite Sailor Moon moments. If you’ve missed out on Spidersonas, you can try something a little quicker and easier by discovering your own Liefeldsona. Though she’s expressed a desire to leave comics behind, Heather Antos clearly just can’t let go, hence the recent announcement that she’s become Valiant Comics’ new editor. With tickets now on sale for Captain Marvel, (my comic book club and I have already bought ours! 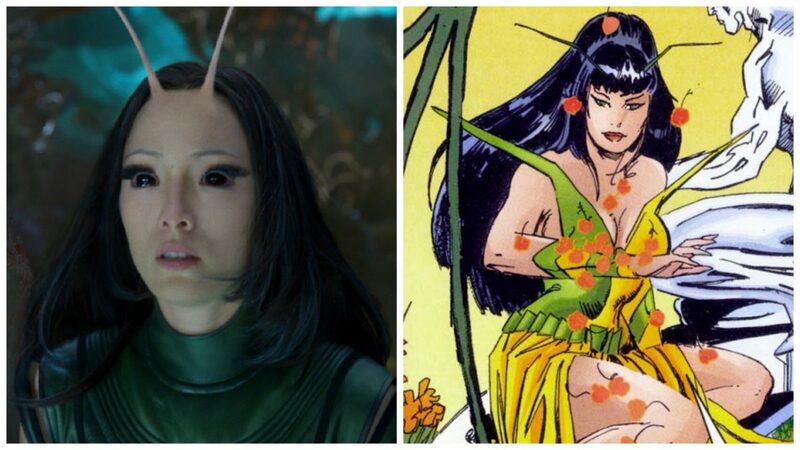 ), more behind the scenes information has been released about the movie, including the fact that writer Kelly Sue DeConnick has a cameo in the film. 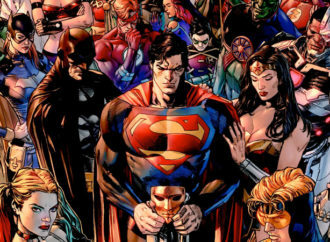 Now you can get DC comics as part of Comixology’s all-you-can-read Unlimited subscription. 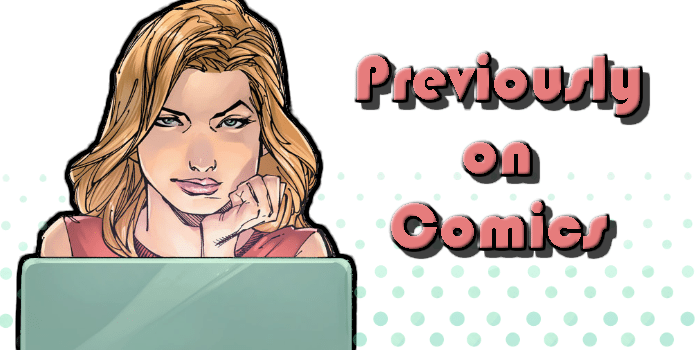 Comics MNT has announced that it will be publishing its articles to its website first, shifting away from its time-consuming, paywall locked newsletter content. shin yin khor’s Wiregrid Microgrant has distributed its first $1,000. Check this thread to discover the lucky recipients. BOOM!Studios announced its recent new hires and promotions. Loving those office trading cards! 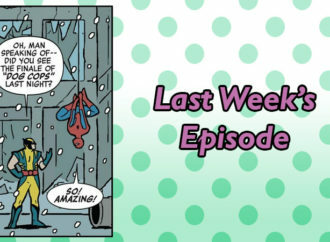 Comics-related news by relation: Ignatz-award winning cartoonist, Gina Wynbrandt’s mom, Denise, was nominated in the 6th annual MUAHS Guild Awards in the hairstyling category of for her work on Widows. 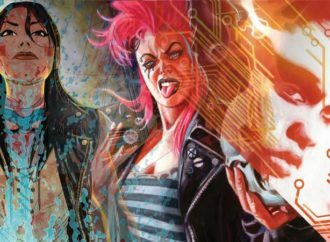 Movimiento de Arte y Cultura Latino Americana (MACLA) has put out a call for artists for Baruch Porras Hernandez’s We Can Be Heroes, which spotlights spotlight 5 brand-new LGBTQ Latinx superheroes. 2000AD expressed their sadness over the news that Judge Dredd artist Ron Smith has passed away. Faith Erin Hicks’ The War at Ellsmere has been out of print since its 2008 release, but it’s getting an “HD upgrade” from First Second with the upcoming release of One Year at Ellsmere. John Porcellino’s Prairie Pothole debuted in the Chicago Reader. The adorable Lemon Bird will soon be published in graphic novel format from Random House Graphic.